There are a couple of different methods for making apple butter, but I really prefer cooking the apples overnight in a slow cooker. 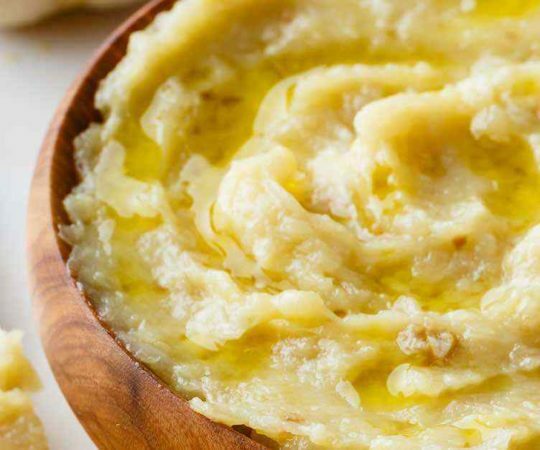 It’s incredibly easy, and the soft apples can be pureed the next morning into a creamy, sweet butter. 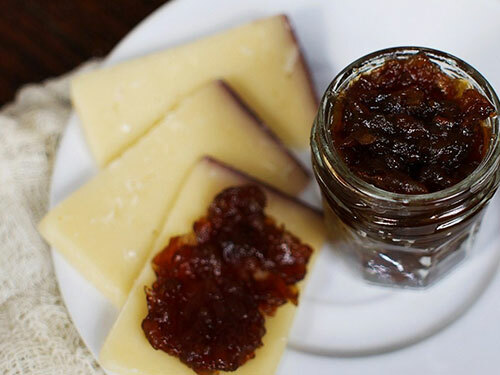 Apple butter is fantastic spread over Paleo toast, on fruit, or even eaten straight with a spoon. 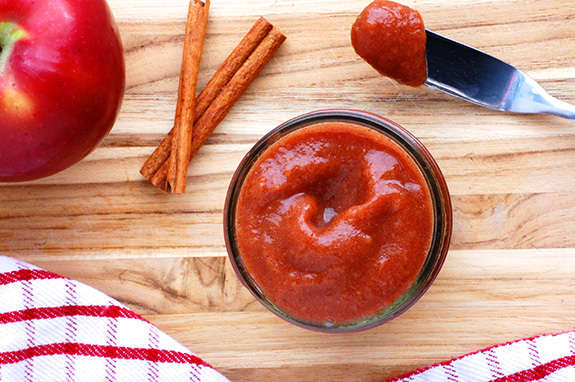 Soft apple varieties work the best when making apple butter. They cook down faster and, in my opinion, give the apple butter a better taste. You can choose from a wide selection, including Braeburn, Cortland, Fuji, Ida Red, or McIntosh. For this recipe I used McIntosh apples. 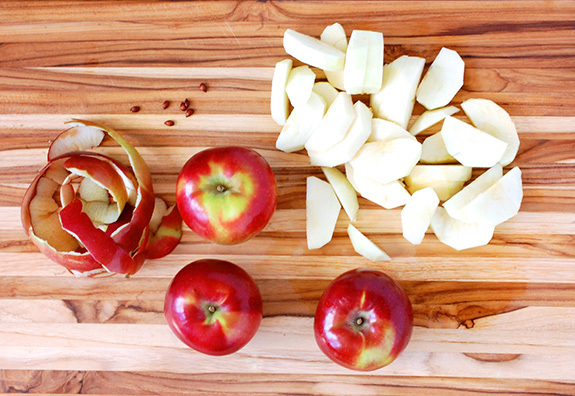 The recipe is incredibly easy; all you have to do is chop up some apples. Contrary to the name, there is no actual butter involved. The apples go right into the slow cooker with honey, cider, cinnamon, salt, and cloves (if using). 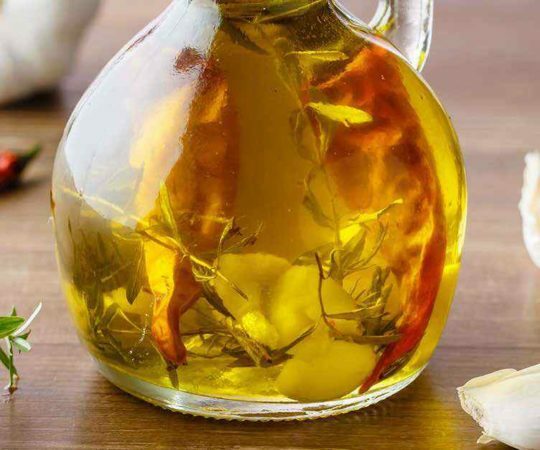 There is little cleanup to this recipe if you use handy dandy slow cooker liners. You can adjust the amount of honey depending on what apple variety you choose and how sweet it is. Also, if you do not have apple cider, water is a fine substitute. 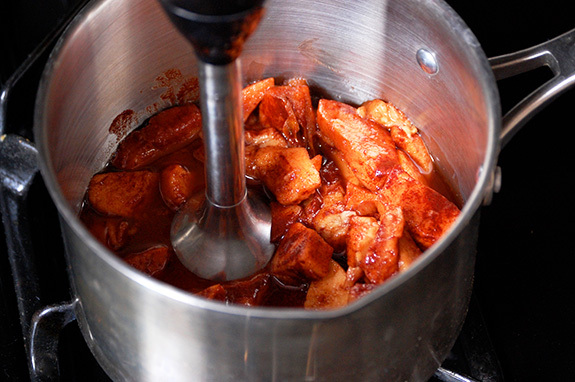 After the apples are done in the slow cooker they should be pureed in order to achieve the right buttery texture. This can be done in a food processor, blender, or with an immersion blender – whichever you prefer. The cinnamon-flavored butter is good warm, but I like it even better chilled. The butter will thicken slightly when it is chilled as well. 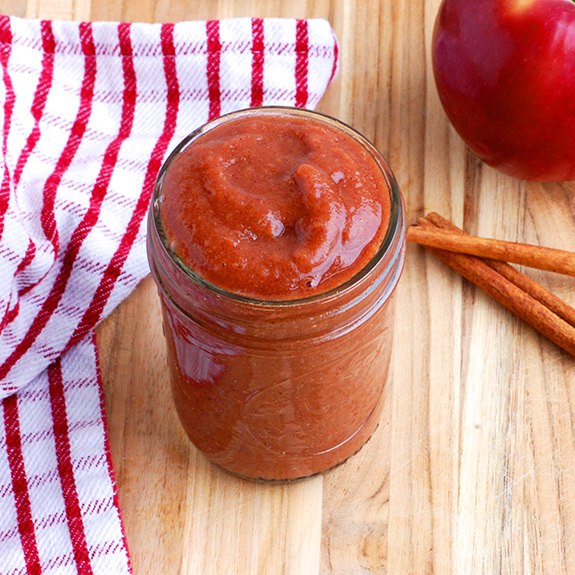 The apple butter can be stored in the refrigerator for a couple of weeks or frozen. 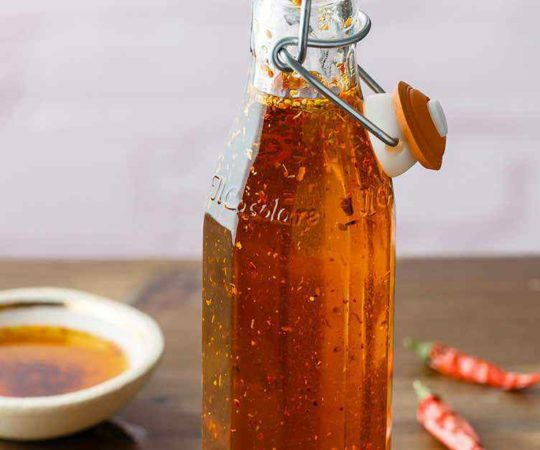 This version is not meant for canning and long-term storage. 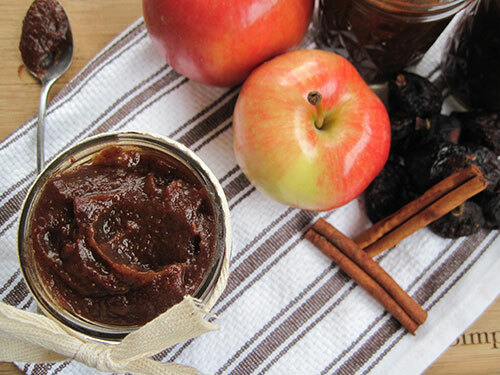 A jar of homemade apple butter is a great gift idea for family and friends as well. 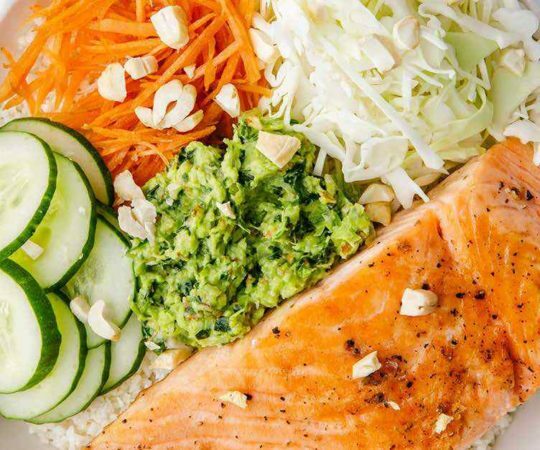 Place all of the ingredients into the slow cooker and stir to evenly coat. Cover and cook on low heat for 6 hours. 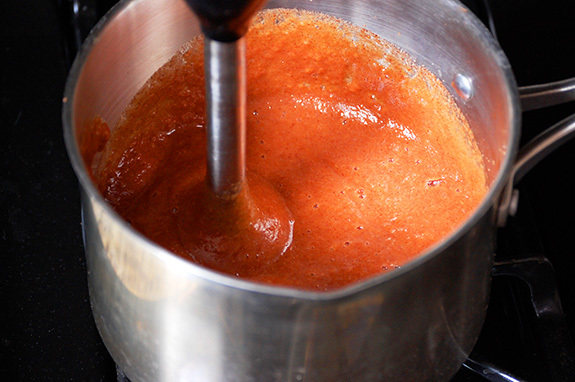 Let cool slightly and puree in a food processor or blender until smooth. Thanks for the great recipes, ya’ll at PaleoGrubs! Love your site for all the variety!